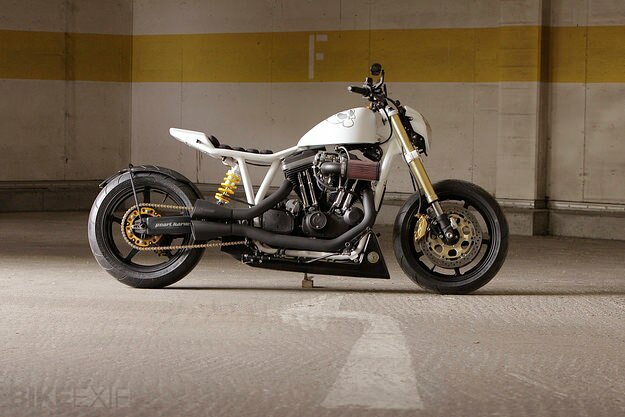 You don’t often see Buell-based customs, and when you do, they’re invariably of the streetfighter genre. So it’s good to see someone trying something different with a Buell-powered bike. 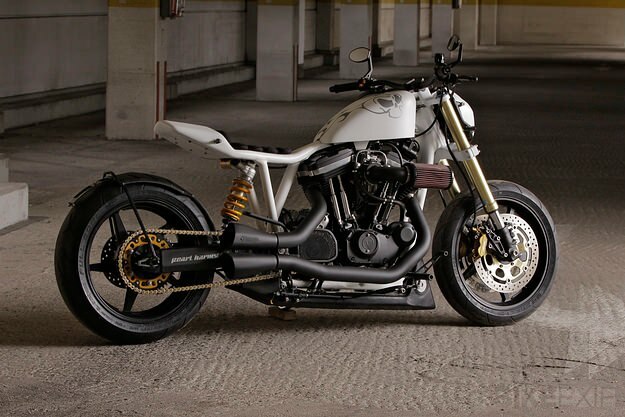 This machine has just been finished by the German company Buchholz Custom, and it’s based on the Buell X1 engine—a 1200 cc unit originally destined for the Harley Sportster range. At first glance, it’s old technology—Harley’s familiar air-cooled pushrod V-twin—but Erik Buell gave the X1 his ‘Thunderstorm’ cylinder heads, with big valves, heavy port work and reshaped combustion chambers. 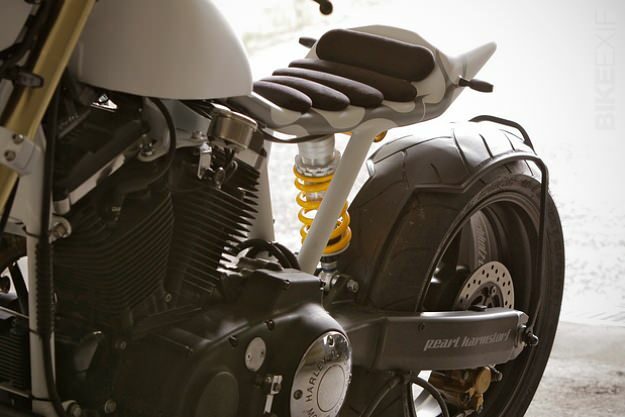 That means a power output of around 95 bhp, a 60% increase over the contemporary Sportster. Builder Michi Heyer has cranked the X1’s power up even further with Mikuni carburetion, a Crane HI-4 Single Fire ignition system and a ForceWinder/K&N air intake. The exhaust is Akrapovic. 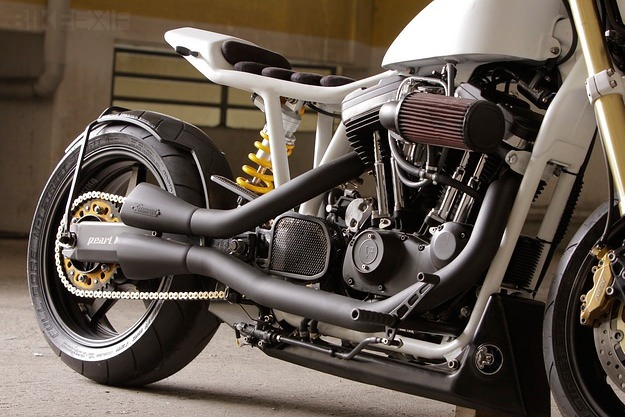 The motor nestles in a Sportster frame, but the front end is pure sportbike—courtesy of a Honda VTR 1000 RC51 SP2. (And probably just as well, given the drastic hike in power.) Keeping the back end planted are a Honda CB1100SF X11 swingarm and Öhlins shock. The rest of the machine is largely custom fabricated, from the oil tank to the bevel cover and that tire-hugging rear fender. It’s an amalgam of styles, but they somehow work together very effectively, including the Yamaha MT-03 headlight unit. If this whets your appetite, keep an eye on Michi Heyer’s future builds via the Buchholz Custom website.